Cereal At Midnight: Pop Culture in Analog: Mer-Man on a Kraken! I was watching some episodes of Filmation's He-Man and the Masters of the Universe cartoon and ran across this image, which I loved so much I just had to share. It's taken from the 32nd episode of season one, "Search for the VHO." In the story, He-man and Teela must save a researcher and his son who are trapped in the water off the coast of an island. 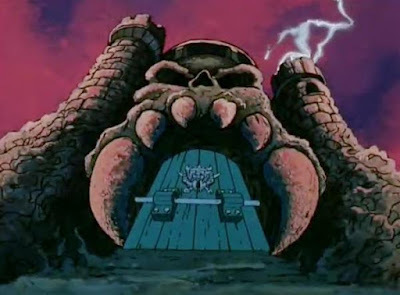 This brings He-Man directly into the domain of Mer-Man, but Skeletor's flunkie has some help: A KRAKEN! 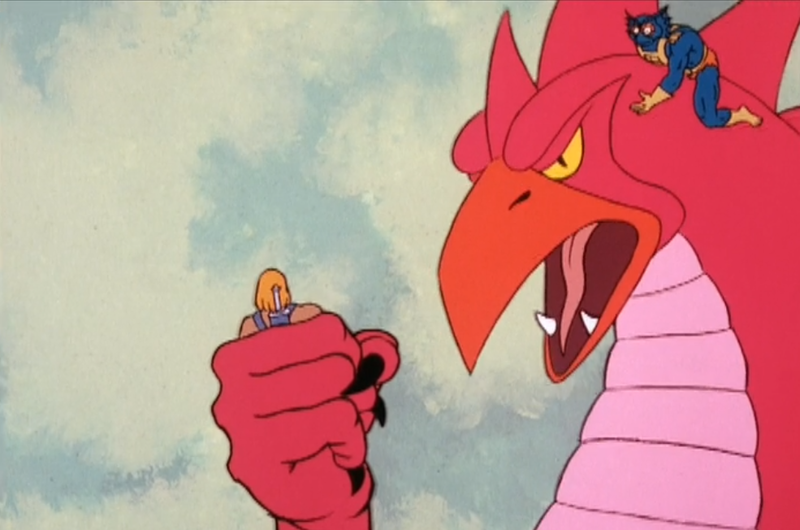 You know, Filmation's MOTU TV series takes a lot of crap for limited animation and recycling the same stock footage over and over again, but God bless 'em, they always cranked out really fun stories to fuel the imaginations of kids watching at home. 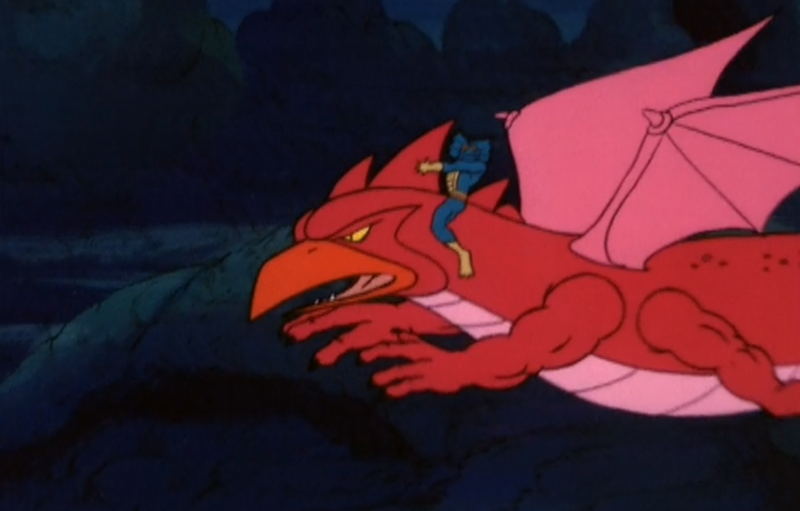 Mer-Man comes off as a really strong villain in this story (He-Man narrowly escapes), and Jeffrey O'Hare--the guy who came up with the story--was well aware of the inherent awesomeness of the kraken, something that would still have been in the minds of kids everywhere after 1981's Clash of the Titans. You may be cool, but will any of us ever be as cool as Mer-Man on a Kraken?